Tree Aid launched their Village Tree Enterprise Project with partner organizations, including Trax Ghana, on the 17th of July 2014. The launch took place in Bolgatanga in the Upper East Region. Guests of honor at the launch event were the Regional Minister for Upper East Region, the Paramount Chief of Bongo traditional area, the Food and Agriculture Organization of the United Nations (FAO) trainer, and traditional leaders. The Village Tree Enterprise Project was therefore duly launched by a representative of the Regional Minister. Partner organizations of the Village Tree Enterprise Project were excited for the success of the launch. The project aims to facilitate establishment of 450 village enterprises across Northern Ghana based on non-timber forest products which are typically resilient to climatic variability. The tree products that are the focus of the project are baobab, shea, moringa, and honey. The Village Tree Enterprise Project is supported by Tree Aid and will be facilitated in Northern Ghana by local partners Trax Ghana, Centre for Women’s Opportunities (CENWOPP), Community Self Reliance Centre (CSRC), and Partnerships for Rural Development Action (PRUDA). Partner organizations were tasked to implement the project starting in August following successful training of field facilitators. 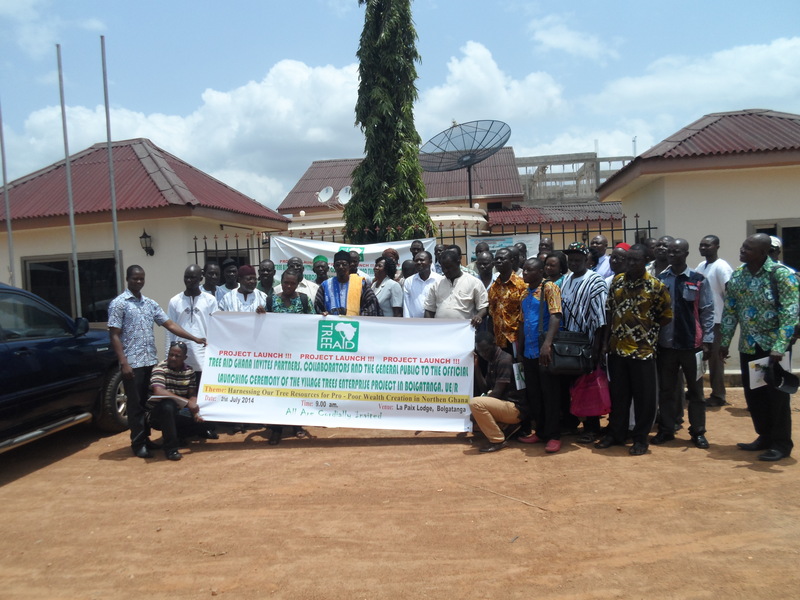 Field officers representing each of the partner organizations throughout the three northern regions of Ghana attended training on the Village Tree Enterprise Project for six days following the launch. During the training sessions the FAO facilitator took field officers through the four phases of the project. Part of the training included a market survey on selected products: baobab, shea, moringa, and honey. Participants were divided into four groups before spending a day at the market researching their allocated product and surveying the market sellers. The following day each group reported their findings to the whole group undertaking training for the Village Tree Enterprise Project. 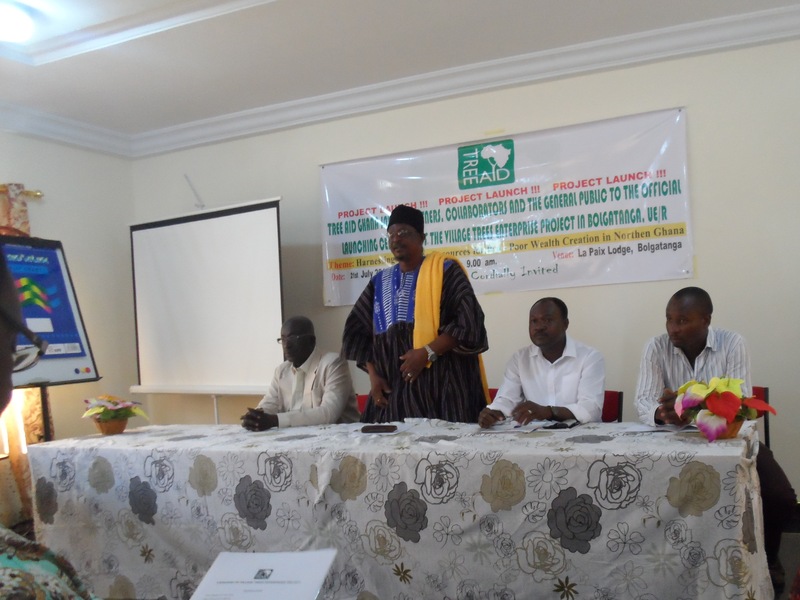 This entry was posted in Agro-forestry, News Update and tagged baobab, forestry, honey, income, market survey, moringa, Northern Ghana, Poverty reduction, shea, sustainability, training, Tree Aid, Village Tree Enterprise Project. Bookmark the permalink.